Department of Forestry is a Department of Fiji’s Ministry for Primary Industries. Our future generation inherits a prosperous & enhanced Forest sector, this is to enhance the improving livelihood through SMART policies on sustainable forest resources. To increase Forest sector’s contribution to GDP by 1% through small micro and medium enterprise and downstream processing. 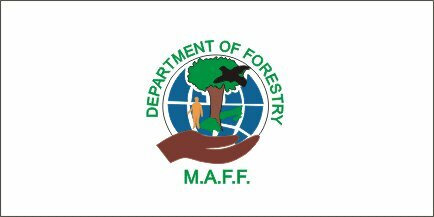 The roles and responsibilities of the Forestry Department are the formulation and implementation of policy initiative and the administration of the regulatory framework to facilitate Sustainable Forest Management (SFM) in all types of forest. Its responsibilities include research and developments, facilitating the development of infrastructure, coordinating the activities of stakeholders and stakeholder’s agencies, monitoring and the implementation of forestry development programs, promoting training and skill development, promoting the conservation and protection of forest resources and encourage local participation and entrepreneurship in value adding and down streaming processing for local and export markets. The launch of Mangroves for Fiji conveniently coincides with the Forestry Department’s ‘One million trees’ initiative whereby they strive to plant 1 million trees on occasion of the 2010 Year of Biodiversity. With Mangroves being trees, the synergy is evident and consequently, the assistance by Forestry has been nothing short of spectacular. Forestry dispose of all the required know how about Mangrove habitats and the technical expertise in the planting of trees and their subsequent monitoring. When it comes to planting trees, establishing nurseries and finding planters, Forestry are the natural go-to people. Furthermore, the department’s influence in the community is a very important asset as it will promote greater dissemination of information regarding the Mangroves for Fiji project and thus allow widespread participation and awareness.